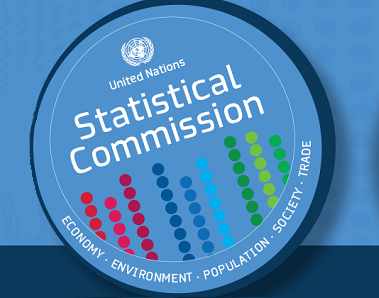 The United Nations Statistics Division (UNSD) in cooperation with the Statistics Division of the United Nations Economic Commission for Europe and the Statistical Office of the European Communities (Eurostat) is organizing a Workshop on International Statistical Classifications, primarily for CIS member countries. The Workshop will focus on the implementation of the recently revised activity and product classifications and will in particular: review the current implementation and use of national activity and product classifications and their relationship to the International Standard Industrial Classification of all Economic Activities (ISIC) and the Central Product Classification (CPC) in the region; provide information on methodological changes related to the application of the classification, such as outlined in the revised introductions; address implementation issues in connection with the revised classifications; discuss country experiences and case studies; and discuss measures to facilitate cooperation in the field of classifications, including coordination of work on regional/sub regional cooperation in classifications. The 5th meeting of the Oslo Group on Energy Statistics will review and discuss the provisional draft of the International Recommendations for Energy Statistics (IRES). The preparation of IRES has been undertaken following the recommendations of the UN Statistical Commission to update the UN manual on energy statistics and to further develop international standards in energy statistics. The agenda include, among others, the following topics: classification of energy products, measurement units and conversion factors, statistical units and data items, data sources and collection strategies, energy balances data quality and data dissemination. This Workshop is jointly organized by the United Nations Department of Economics and Social Affairs' Statistics Division (UNSD) and the Statistics and Economic Projections Division of the United Nations Economic Commission for Latin America and the Caribbean (UNECLAC). The Workshop will focus on the current revision processes of economic and social classifications and will in particular: (1) Review the current implementation and use of national activity and product classifications and their relationship to the International Standard Industrial Classification of all Economic Activities (ISIC) and the Central Product Classification (CPC) in the ECLAC region; (2) Provide an up-to-date account of the revision processes for ISIC and CPC and highlight crucial changes and proposals that have emerged in the final phases of the revisions; (3) Collect additional input from countries in the region on open questions in the ISIC and CPC revision; (4) Address implementation issues in connection with the revised classifications; (5)Provide information on issues regarding the revision of the International Standard Classification of Occupations (ISCO) and seek countries' input into this process; (6) Discuss measures to facilitate cooperation in the field of classifications, including coordination of work on regional/sub regional cooperation in classifications.